S 1880 Miles, Woodward & Co (and pottery works) Cardigan. K 1884 Miles, Woodward & Co. Patent Steam Power Brick, Tile and Pottery Works; offices, Lloyds Wharf, Cardigan. Miles, Woodward & Co. Engineering, Foundry & Steam Joinery Works (Advert on page 55). Also Miles, Woodward & Co, Advert on page 53. K 1891 Miles, Chavasse & Co. Quay Street, Cardigan. K 1895 Cardigan Brick Works Co. (Richard Thomas, mngr); offices and shipping depot, Lloyds Wharf, Cardigan. 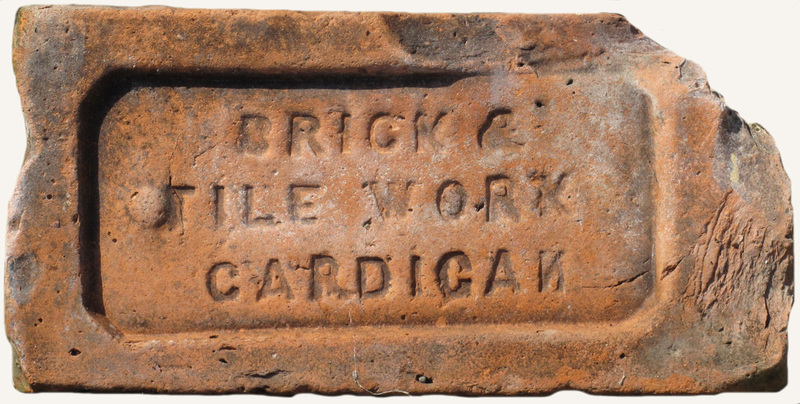 Lon 1899 Cardigan Brick Works Co. Telegrams ‘Brickwrks Cargigan’. K 1906 Cardigan Brick Works Co. (Richard Thomas, mngr); offices and shipping depot, Lloyds Wharf, Cardigan. K 1926 Cardigan Brick Works Co (Richard Thomas, mngr) Manufacturers of red building brick, moulded, pressed facing and paving bricks, agricultural drain pipes, floor tiles, flower pots and garden ware: offices - shipping depot, Lloyds wharf; telegrams “Brick Works” Cardigan. 1843 First Cardigan Brick Works estabished in 1843. 1858 new Brick Works constructed and rented to George Osborne. 1871 (August) William Woodward took over management. 1873 new stack 127ft high built. 1875 dam burst killing two persons in flood. 1876 Oil lamps were introduced into works. 1880 business was in decline. 1891 business put up for sale. 1919 business revival attempt; Cardigan Brick Works Co was formed. 1923 company was wound up by this date. Inclined tramway from clay pits to works. In 1875 it was proposed to build a tramway from the Brick Works to the Teifi (under a mile) but it was never done.